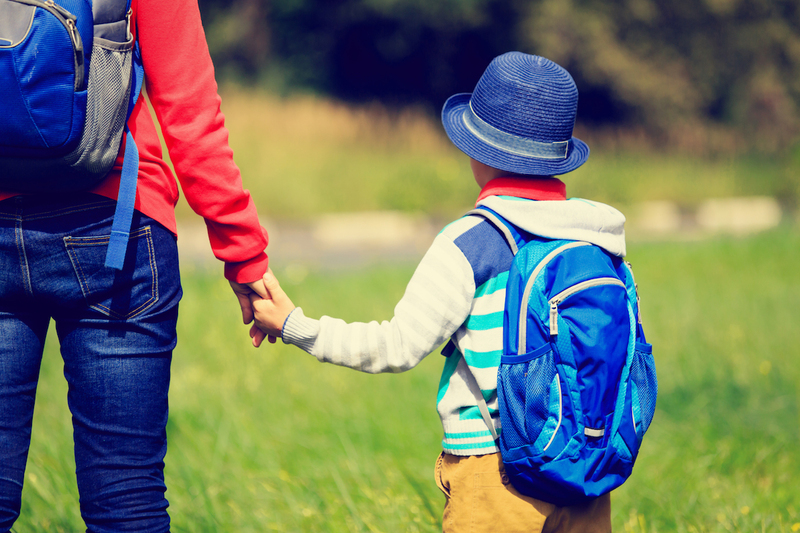 With holidays now over and school and child care happening, many parents have to face that phase of getting their children comfortable with the idea of returning to school. For many children, particularly those who are just starting child care, kindergarten or primary school, there is a bit of anxiety. Usually that anxiety is most obvious in the first few days. Children might cling, cry, or talk about their worries (like worrying about fitting in). Sometimes the anxiety comes out as behavioural changes (like set backs in toilet training), disturbed sleep, or irritability. As young children make the adjustment to spending time away from parents, some anxiety is quite normal. Parents are also not immune to anxiety either. I often talk to parents about their feelings of guilt regarding putting their children in child care, or leaving a preppy at school when they know their child is anxious. The important thing is, most children (and parents) get through this phase within a few days (or weeks at most). There are a number of things parents can do to ease the process of starting childcare, kindergarten and school. In fact, most places will have a clear process for helping children get accustomed to being there. It usually involves gradually increasing the amount of time the child spends at the school without a parent present. But you can start earlier than that. From a very early age it can be helpful to leave children (even babies) with grandparents or other trusted carers. This instils in children that their parents will return (it also gives the parents a breather, which can be invaluable from time to time). Joining play groups helps children get use to interacting with other kids. Helping your child get used to being frustrated also makes a difference. In a group environment your child is not going to get his or her need met immediately all the time. Practicing making children wait is an important part of preparing them for the reality of the rest of their lives. For some it’s not that simple. Separation anxiety disorder is a more severe problem that emerges amongst a small percentage of children at this stage of life. So “what’s the difference between every day anxiety, and separation anxiety disorder?” I hear you ask. Repeated physical complaints like headaches or tummy aches, when thinking about separating (eg the start of a school day). Fear of anxiety is not related to other conditions like autism. The critical point about these more extreme situations is to get help early. Many parents feel helpless or get frustrated, and some even think their children are just being naughty. When young children show this type of distress it’s not because they are trying it on, they need understanding and probably a bit of professional help. The other fact to remember here is that getting help early usually means that you will need less help. So as you let go of your children as the year starts, don’t panic if there is some anxiety. Talk to them, work with the school, and get their friends involved. If you are concerned that the anxiety is getting too severe, get help as soon as possible. This post is written by Dr Simon Kinsella, Clinical Psychologist Director of CPC Consulting. CPConsulting is a leading psychology practice in Melbourne offering a range of services for optimum health and wellbeing with a range of clients including individuals, couples, families, executives and organisations. The long road to Independence.